Market value is how much a home would sell for under normal conditions. This excludes sales where the buyer or seller is under pressure to act, perhaps due to career relocation, or other unforseen circumstance. Market value is basically an educated guess, but it can be fairly accurate if you apply the right method and consider all the important details. External characteristics – “curb appeal,” home condition, lot size, popularity of an architectural style of property, water/sewage systems, sidewalk, paved road, etc. Location – desirability for a particular school district, neighborhood, etc. 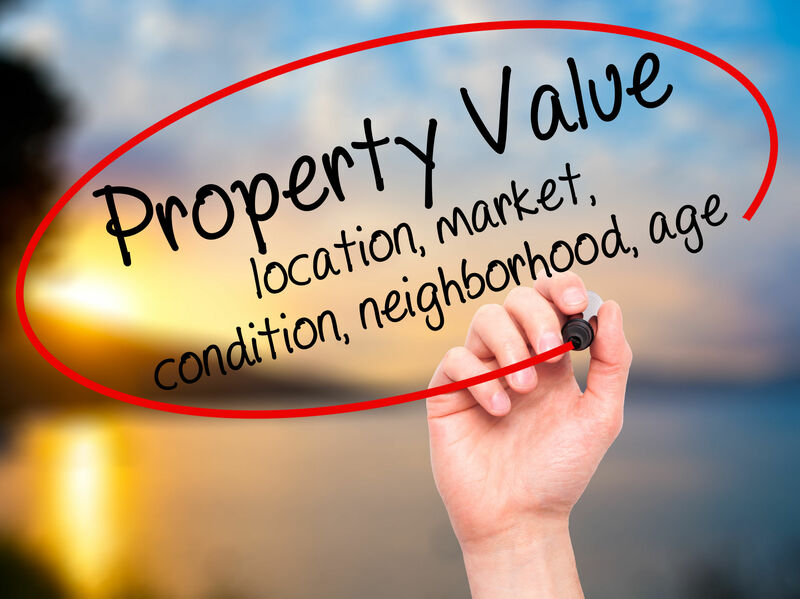 How do I estimate my home’s market value? We recommend you use the sales comparison approach to estimate your home’s market value. This is the primary method used by professional appraisers and real estate agents to determine the market value of homes. Begin by researching recent sales over the past three to months of similar properties in the local area. The sale prices of these properties will provide a good place to start with in estimating your home’s value. Try to find sales of at least three properties that are comparable to your home. If possible, make sure these properties were sold under normal conditions. You only want properties sold at market value. How do I determine whether a property is comparable? What if the characteristics aren’t identical? Unfortunately, you probably won’t find an exact comparable sale. To account for this, you need to adjust the sale prices of the comparable properties. This will require some analysis on your part to determine whether these differences increased or decreased the sale price, and, if so, by how much. The adjusted sale price is your estimation of what the property would have sold for if all the characteristics were the same. For further help determining the market value of your home, use the Value Estimator below, or contact us directly for assistance. Use our Value Estimator to get a free estimated market value of your home, or for a home you are interested in. It will calculate an estimated home valuation using the millions of home records in our database. Note: A market analysis prepared by a University Realty professional is by far the most accurate method in determining the value of a home. Using the “My Home Value” button only provides an estimate, please contact us directly for a qualified market analysis of your home. a way to determine the value of a home, but it is just not accurate. Everybody is looking for a shortcut in establishing the value of a home. Online home valuation tools are now everywhere, Zillow being the most popular. They simply are not accurate. If you can find the fine print and have a math degree to determine what in the world they are saying, these tools are merely approximations of value and frequently have significant errors. If going online and plugging in an address does not work, what about utilizing the price per square foot to secure the value of a home? Unfortunately, it too is just another unreliable shortcut. The average price per square foot varies from city to city, neighborhood to neighborhood, street to street, and even home to home. For all of Orange County, the price per square foot in June was $440. In May, it was $459. No, there was not a 4% drop in value from May to June. Instead, it illustrates that this data point cannot be relied upon to determine the value of a home. Just as the median sales price is a poor indicator of the precise increase or decrease in value, the price per square foot isunquestionably as unreliable. Applying the average price per square foot to different sized homes to determine the value results in a major error in comparing it to the true average sales price. In Orange County, a 3,000 square foot home comes close, but is still $29,000 off, a 2% error. In breaking it down by city, the severity of the errors are similar. In Mission Viejo, for example, there is quite a discrepancy in both the low end and the higher end. In Newport Beach, prices vary considerably for smaller sized homes. Overall, the price per square foot should not be used to isolate the true value of a home. It can be used, over time, as a gauge to determine which direction home values are moving. Some months it is up, and other months it is down. Yet, over the course of a year, the values will start to paint a picture that illustrates the direction of the market. So, why can’t the price per square foot be used to zero in on the value of a home? There are way too many nuances that go into the Fair Market Value of a home. The number of bedrooms and bathrooms, lot size, usable lot, square footage, location, pool, spa, upgrades, amenities, condition, main floor bedroom, number of stories, school zone, privacy, architecture, floor plan design, view, garages, street parking, proximity to the beach, and so on, all determine a home’s value. Does the home back to a busy street? Is it located on a cul-de-sac that has homes on only one side of the street? Is there street noise? The list of questions goes on and on. Square footage alone cannot determine if a home has been updated, upgraded, or is in turnkey condition. For example, four of the exact same Madrid Del Lago single level plans sold in Mission Viejo over the past 90-days, all 2,133 square feet. The sold prices varied from $838,000 ($392 per square foot) to $997,500 ($468 per square foot), a $159,500 difference. Quite obviously, square footage alone does not provide enough information to arrive at the price of a home. Professional REALTORS® and appraisers take a home and compare it to similar pending and recently sold homes, adjusting the value up and down based upon all of the differences. The price per square foot is not really a factor. There are no shortcuts. The market analysis that professionals prepare is by far the most accurate method in determining the value of a home.